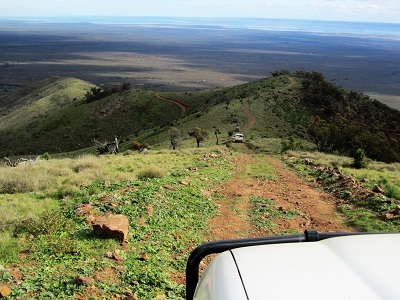 Book your seat and prepare to be inspired by the exhilarating views of the Mount Brown 4WD tour. 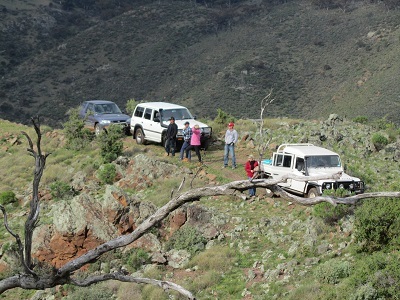 Sit back and enjoy the ride, as your driver takes you through rugged gorges and over high ridge tops. 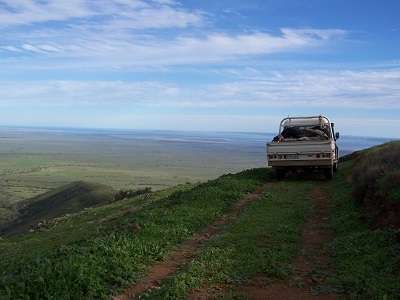 Observe the abundant native birds and animals including wallabies, euros and the wedge tailed eagle. Soak up the sights and sounds, and smell the distinctive fresh aroma of the natural bush. Learn about the early local history (circa 1863) of Port Augusta's first water supply, sourced from Woolundunga Spring below Mt Brown, then taken to Port Augusta by bullock wagon. ​The opportunity is available to take the short hike to Mt Brown summit to sign the visitors book and take in the magnificent views from the viewing platform. The hike from Catninga Hut to the summit and return takes from 1.5 hours to 2.5 hours depending on personal fitness. Lunch/smoko is supplied before the return trip back down to Catninga homestead. There are many lookouts along the way for spectacular photo shots.